In the fall of 1861, Union officials began grappling with the problem—one that would persist throughout the war—of what to do with "fashionable women spies." This Confederate cartoon from the October 12, 1861 edition of Harper's Weekly offers some suggestions. 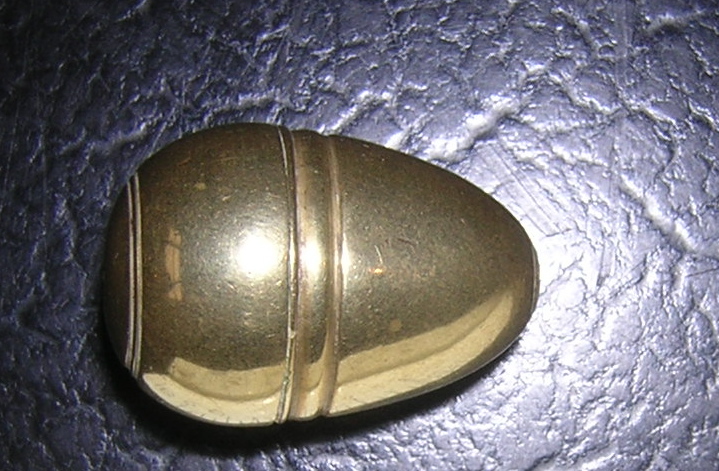 Some male spies smuggled messages or quinine in an acorn-shaped brass contraption and hid it in the place least likely to be searched: their rectums. Confederate spy Rose Greenhow hid dispatches inside a small black silk purse, which she then buried inside the elaborate hairdo of a teenaged courier. 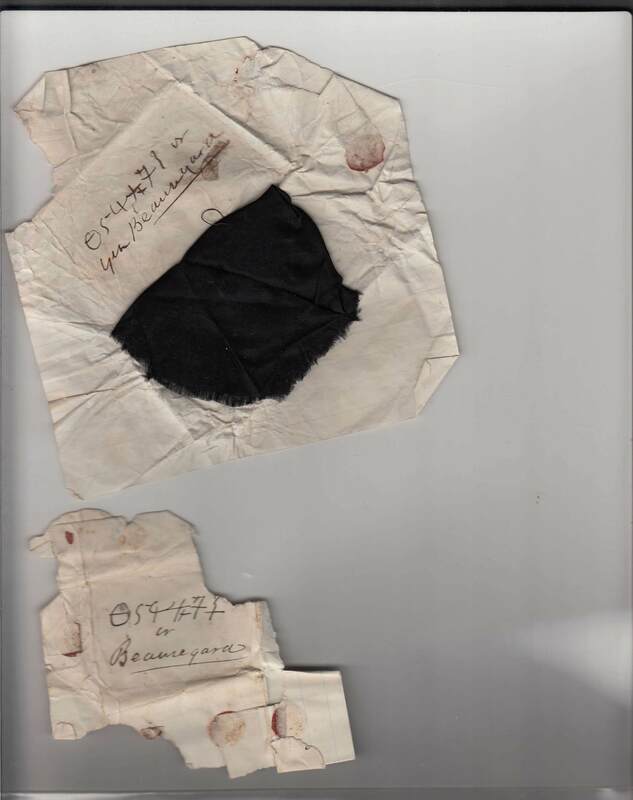 Below: a piece of Rose's silk purse and a fragment of an encrypted message. 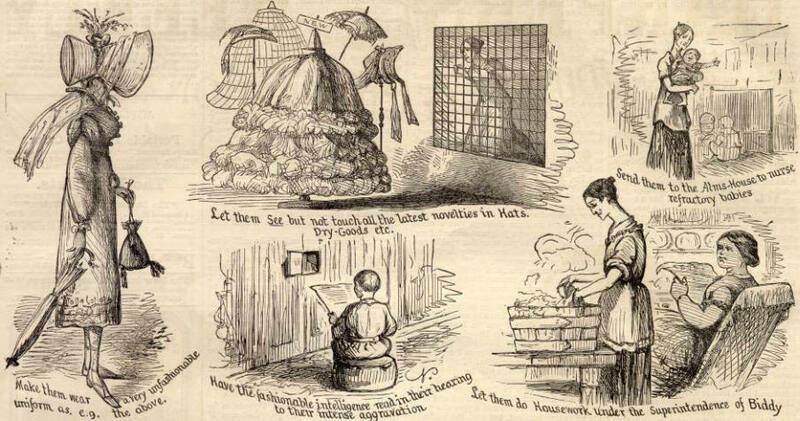 Women also used cage crinolines—which could measure six feet in diameter—to smuggle goods across enemy lines. One rebel woman managed to conceal inside her hoop skirt a roll of army cloth, several pairs of cavalry boots, a roll of crimson flannel, packages of gilt braid and sewing silk, cans of preserved meats, and a bag of coffee—the contraband tally for a single crossing. 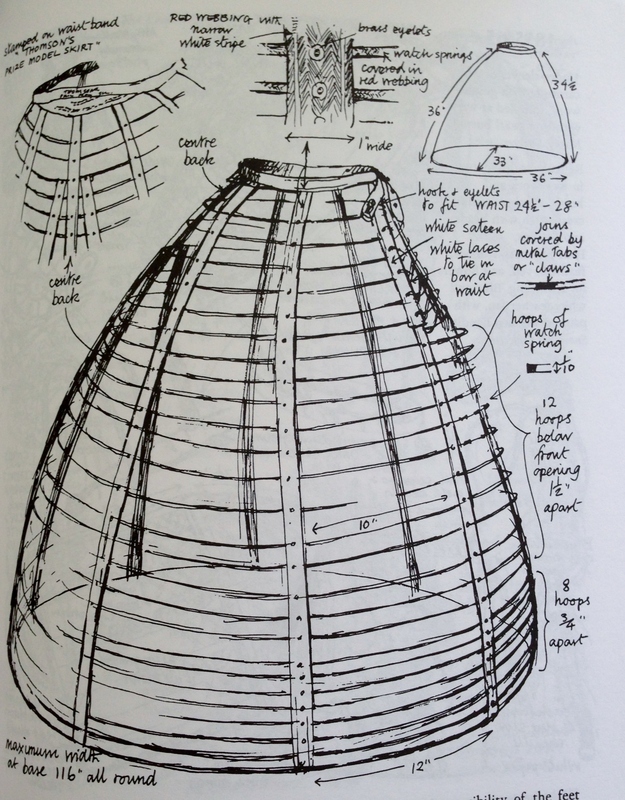 Below, a sketch of the Snowshill cage crinoline, popular in the 1860s (from Costume in Detail, by Nancy Bradfield). Women even used children's toys to smuggle goods across enemy lines. 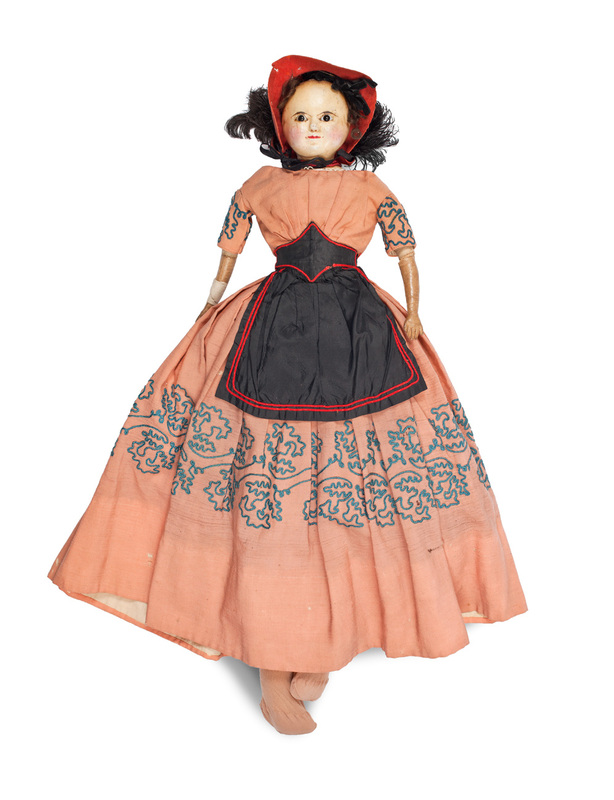 The hollow papier-mâché head of this doll, Lucy Ann, was reportedly stuffed with quinine intended for Confederate soldiers.